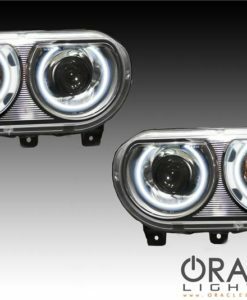 *NOTE* These headlights fit all non-projector Challenger models. Full Headlight Assembly takes 6-20 business days to complete depending on availability. You will use your existing headlight bulbs inside of these housings. Dodge Challenger Non Projector Depo Headlights with Oracle Halos Installed is the easiest way to have halos installed in your vehicle! 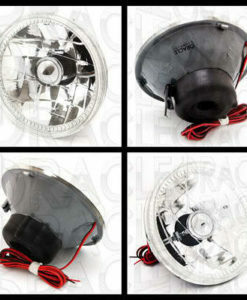 These are BRAND NEW Depo OEM Factory Style Headlights with the choice of your color rings installed. 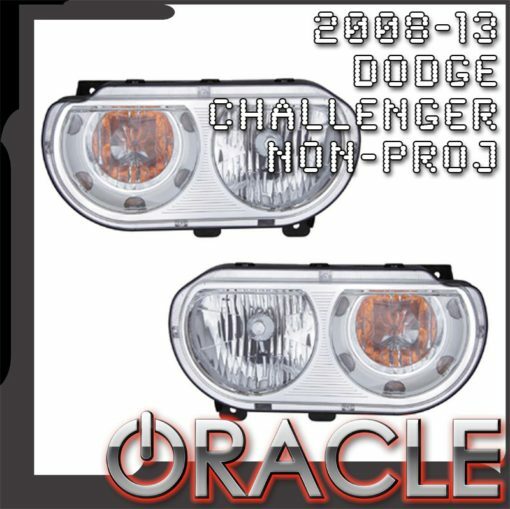 The Dodge Challenger Non Projector Depo Headlights with Oracle Halos come pre-installed with the color of your choice. No need to install the rings on your own, have the assemblies shipped to you with the rings already installed. 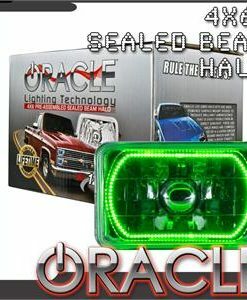 Reflectively and visibility are the major safety elements required by law in automotive lighting product engineering. All DEPO performance lights sold in the U.S. comply with the applicable safety and function requirements of the U.S. Department of Transportation’s Federal Motor Vehicle Safety Standard. 108 (FMVSS) and SAE. 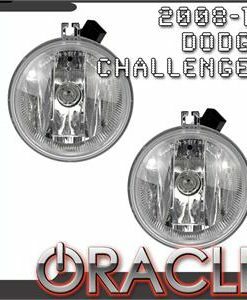 What are Dodge Challenger Oracle Halos? 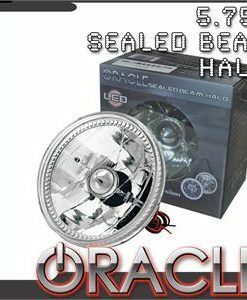 Dodge Challenger Oracle Halo Headlights are the best Demon Eye Kits produced for any vehicle thus far! 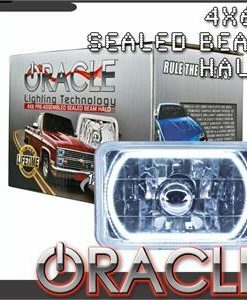 Each Dodge Challenger Oracle Halo Headlights kit utilizes the latest lighting technology and the highest quality materials available on the market. 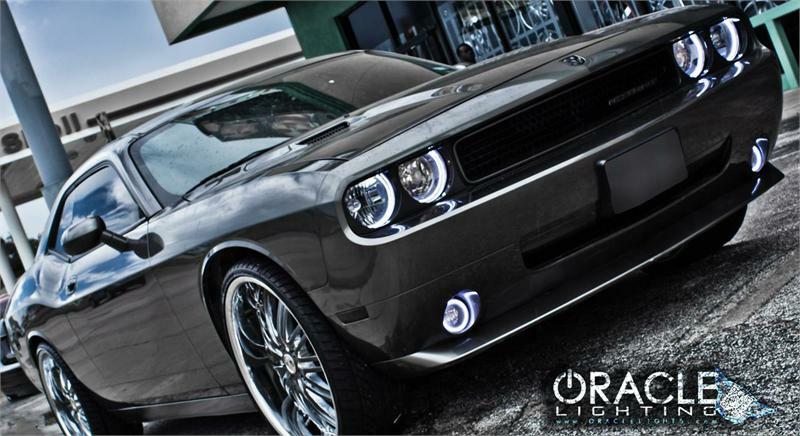 Whether CCFL, SMD, or Plasma, each Dodge Challenger Oracle Halo Headlights can be seen vividly even in direct sunlight! *Please Note – Full Headlight Assembly takes 6-20 business days to complete depending on availability. You will use your existing headlight bulbs inside of these housings.